In 2006 Network Metals also began to provide consulting services to the physical metals markets as well as the financial markets with interest in the industrial world. These consulting projects can take the form of a 1 hour phone consultation to an extended monthly engagement. Financial investment funds especially prefer these consulting services because of the company’s direct involvement in trading and distributing metals and ores on a global basis. 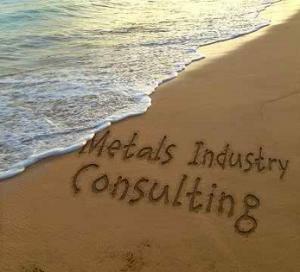 Network Metals has in-depth experience in creating, implementing and managing the risk on commodities hedging programs. In particular, the company has created hedges and managed risk portfolios for non-exchange deliverable (LME, COMEX) products such as nonferrous scrap and metal additives. The company has successfully helped mining companies locate and sell their primary and residual off-takes to global consumers and traders. With its extensive depth of the global metal and ore markets, Network Metals is able to maximize profit for any type of precious metal, nonferrous or ore mining projects. Network Metals is closely associated with the financial world through its consulting contacts and financing affiliates. It is uniquely positioned in the metals and mining space to creatively structure physical and financial arrangements. These include pre-export financing, warehouse and transport financing and mine / new project financing.